Who likes sugar peas? And friendship? And hanging off your keychain or backpack? Catbug! You know... Catbug, from the Cartoon Hangover show, Bravest Warriors? Soft taco and peanut butter square enthusiast! He wants to quite literally hang out with you! This is an official Catbug plush from the fantastic show, Bravest Warriors From the creators and producers of Adventure Time comes Bravest Warriors on Cartoon Hangover Watch Catbug in Bravest Warriors! 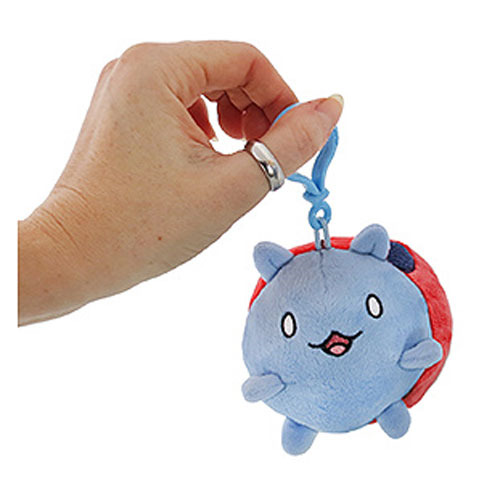 This amazing plush is 3-inches of squishy Catbug hangin' out! Ages 3 and up. Plastic keychain clip attached.